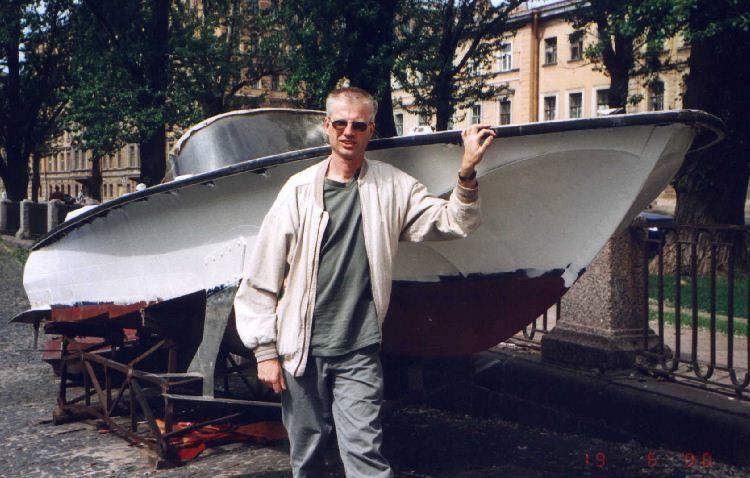 From the homeland of the Ekranoplan and the renown Central Hydrofoil Design Bureau. 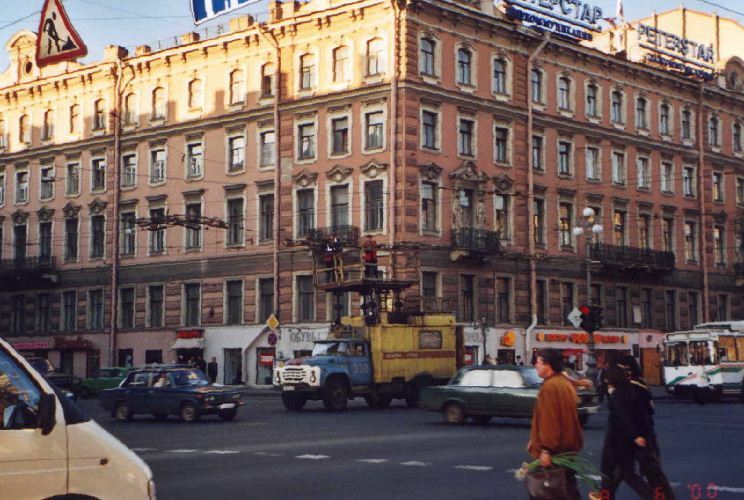 The conference took place during the 'White Nights'. and the people never quite go to bed. I would like to include all the names of people in these photos. Unfortunately I cannot put many names to faces, and am reluctant to guess for fear of upsetting people if I get them wrong. So please email me if you can help me with the names: - state the photo number in the email. Also, if you have any photos from this conference that you would share with me, please drop me a line. 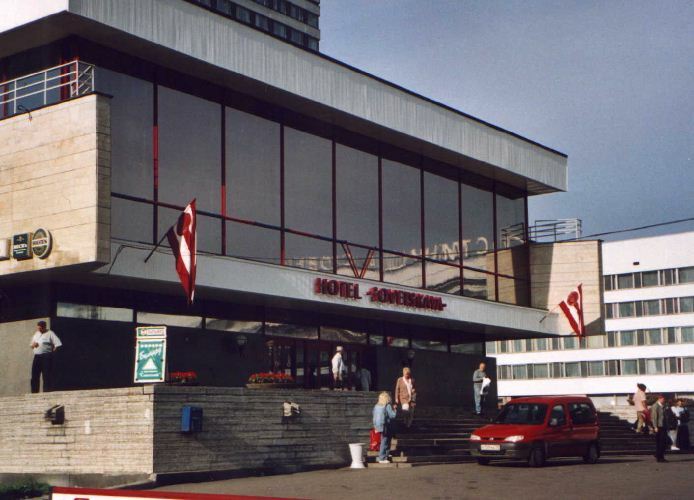 1) The Sovetskaya Hotel, my home for the week, and where many of the delegates also stayed to experience a very soviet attitude to customer service (!). 2) Look what I found next to a canal! 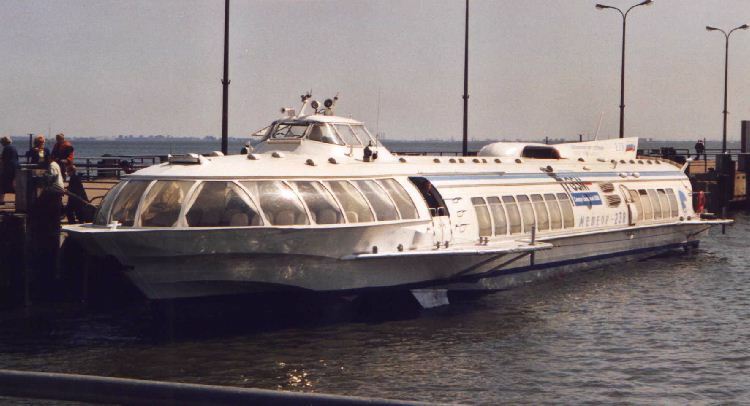 One of the fabulous Volga 70 sports runabout hydrofoil boats out of the water. Note the classic biplane front foils. 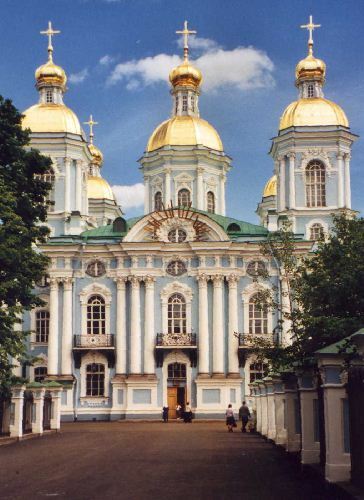 3) Some of the splendid St Petersburg architecture: St Nicholas Cathedral. 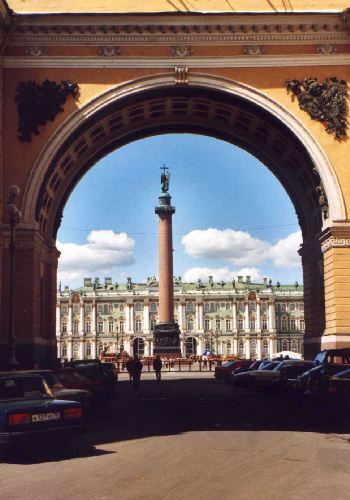 4) Looking back on the Alexander Column and Winter Palace. 5) A typical street scene. Nevskij Prospekt. Note the 'men at work' sign on the overhead tram wires, while the repair wagon is parked in this busy junction. 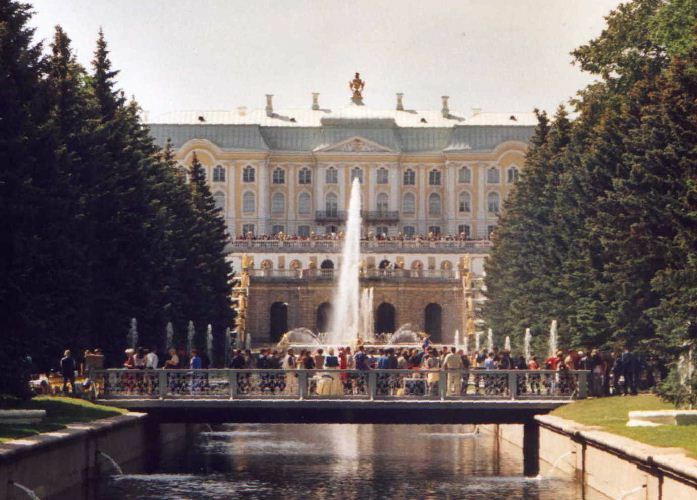 6) A trip on the Meteor hydrofoil from St Petersburg to the Palace of Peterhof was very rewarding. I was impressed by just how swift and comfortable these vessels were. 7) Palace of Peterhof, well worth the 20 minute Meteor trip.